Do you remember a time before computers? Even if you were alive before the personal computer completely changed the world, do you remember it? What did we do? How did we learn? How did we communicate? Children born after the rise of the personal computer won’t be able to fathom life without their laptops, iPads, or smartphones. If you were to tell them you were alive before personal computers existed, they would probably equate you to a caveman. They’d think you were no more sophisticated than a group of neanderthals grunting and rubbing stick together trying to start a fire. Luckily, we made it out of the stone age, and the world has been revolutionized by personal computers and technology. It’s changed the world so much that we tend to take advantage of it without even thinking about it. We don’t stop to appreciate that on every computer, every laptop, every smartphone that fits in our pocket, we have access to more information than any era that has come before us, combined. We never stop to think of how it works, either. Do you know what’s inside your razor-thin laptop that allows it to be razor thin, while still being an incredibly powerful machine? Do you know how Bill Gates designed the first ever release of Microsoft Windows? The answer to that question is programming and programming languages. 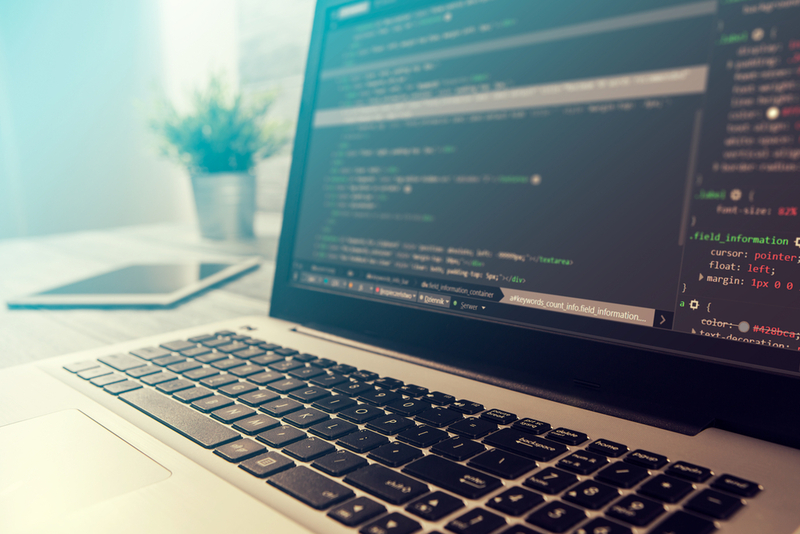 In this article, we will take a look at the history of programming languages, how far they’ve come, and where they are today. After you’ve read this article, you should have a deeper appreciation and understanding of the technology around us that has changed and continues to change our world. First things first; what are programming languages? Computer programming languages allow us to “talk” to computers in a language that the computer understands. Hence the term programming “languages”. 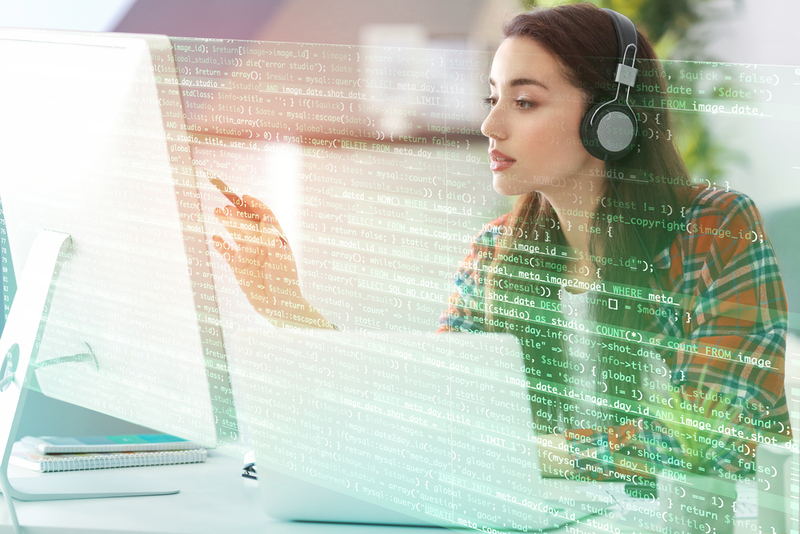 Just like humans have several different and unique languages, there are various types of computer programming languages that programmers use to communicate with computers. The most basic element of the language that a computer understands is called a binary, which is simply a collection of 1’s and 0’s. Ultimately, programming languages need to be translated into binary in order to be executed by a computer. When the programming language is translated to binary, it’s called “compiling”. Each unique language will have its own unique features, although there are commonalities between the programming languages. These languages allow computers to quickly and efficiently process large and complex swaths of information. For example, if a person is given a list of randomized numbers ranging from one to ten thousand and is asked to place them in ascending order, chances are that it will take a sizable amount of time and include some errors. Using a programming language, a computer can do this in less than a second. 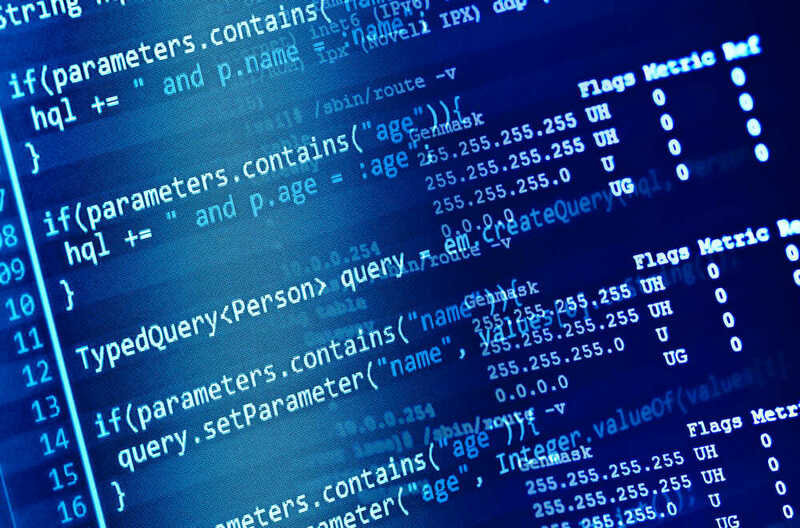 Programming languages play a huge role in the software development process. Computer software is everything from the games we play on our computers, to the operating system we use, to the word processing programs we use to write. Without computer languages, we wouldn’t have any of those things. We also wouldn’t have the internet, because computer languages played a major role in the development of the world wide web. Programming languages have come a long way since their humble beginnings. The first programming language was invented many years ago – more than you probably expect. Below we’ll take a brief look at the history of programming languages, and talk about the major milestones. 1883: That’s right, the first programming language was born in 1883. The algorithm for the Analytical Engine was created by Ada Lovelace for Charles Babbage’s Analytical Engine to compute Bernoulli numbers. This is widely considered to be the first computer programming language. 1952: Now we fast forward all the way to 1952 and Autocode. Autocode was a generic term for a family of early computer programming languages. The first was developed by Alick Glennie for the Mark 1 computer at the University of Manchester in the U.K. Autocode is considered to be the first compiled computer programming language, meaning that it can be translated directly into machine code using a compiler program. 1957: In 1957 the programming language FORTRAN was created by John Backus for complicated scientific, mathematical, and statistical work. The name FORTRAN stands for Formula Translation and is one of the oldest computer programming languages still used today. 1958: A year later in 1958, Algol was created by a committee for scientific use. Algol stands for Algorithmic Language, and it served as a starting point in the development of languages such as Pascal, C, C++, and Java. 1964: Jumping ahead to 1964, we have the programming language BASIC. It was developed by John G. Kemeny and Thomas E. Kurtz at Dartmouth College. It was created for students who did not have a strong technical or mathematical understanding could still use computers. BASIC stands for Beginner’s All-purpose Symbolic Instruction Code. Bill Gates and Paul Allen wrote a modified version of BASIC which went on to become the first Microsoft product. 1983: C++ is an extension of the C language and was developed in 1983 by Bjarne Stroustrup. It is one of the most widely used languages in the world and is used in game engines and high-performance software like Adobe Photoshop. Most packaged software is written in C++. 1991: Guido Van Rossum developed Python in 1991. Python is easier to read and requires fewer lines of code than many other computer programming languages. It was named after the British comedy group Monty Python. Popular sites like Instagram use frameworks that are written in Python. 2009: Now we’ll jump all the way to 2009 and Go. Go is a language developed by Google to address problems that occur in large software systems. Computers are much different today than they were when languages such as C++, Java, and Python were introduced and put to use, so problems arose when huge computer systems became common. Go was intended to improve the working environment for programmers so they could write, read, and maintain large software systems more efficiently. 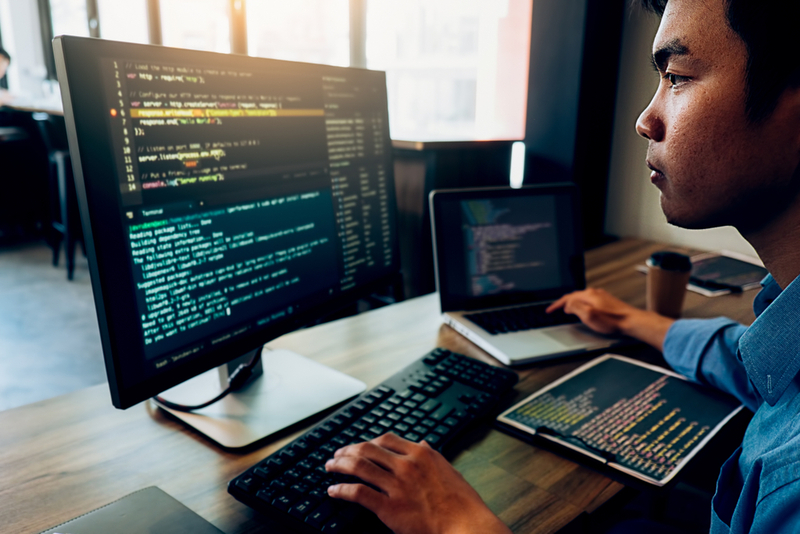 What Are the Most Popular Programming Languages In 2019? With thousands of programming languages in existence today, including most of the languages we talked about above, which languages are the most popular? Below are the top 3 languages in use in 2019, and they might surprise you. That’s right, created in 1991, Python is still going strong today. Python is a very high-level programming language, and still one of the world’s fast-growing languages. It’s easy to get started with, but can also be used for high-level programming like machine learning. Python’s versatility is one of the reasons it’s still thriving today. Java is an object-oriented language that was created by Sun Microsystems, which is now owned by Oracle. Java is used for databases, developing Android apps, backend programming for the web, desktop applications and more. It’s immensely popular and considered one of the most stable and reliable ways to build large systems. 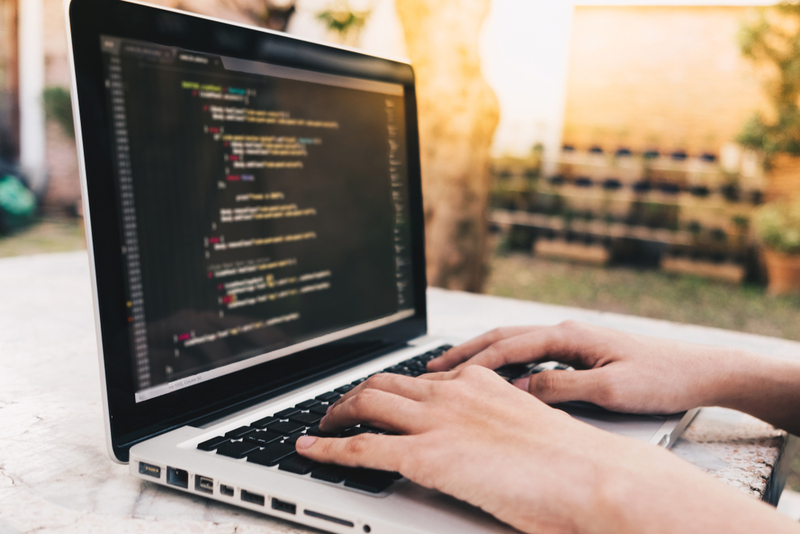 So, since the three most popular programming languages in 2019 have been around since at least 1995, what is the future of programming languages? What is the next big breakthrough we can expect? First, biological engineers at MIT have created a programming language allowing them to design complex DNA encoded circuits that give new functions to living cells. Yes, you read that right. The programming language will give new functions to living cells. With this language, you can write a program for any function you want, such as detecting and responding to specific environmental conditions. Then a DNA sequence will be generated that can achieve it. This is real science fiction stuff coming to life. You use a text-based language, just like you’re programming a computer. Then you take that text, compile it, and it turns it into a DNA sequence that you put into the cell, and the circuit runs inside the cell. In the future, this programming could design bacterial cells that will produce a cancer drug when they’ve detected a tumor, or it could create yeast cells that can halt their own fermentation process if too many toxic byproducts build up. If that doesn’t get you excited about the potential we have in programming languages, I don’t know what will. The kids today don’t know how good they have it. The first programming language was developed in 1883, and between then and now, thousands more have been developed. They’ve changed our everyday lives. They’ve changed the way we work, learn, communicate, and entertain ourselves. And soon, they might be able to fight cancer. Maybe you were born before personal computers were popular, but luckily you are here to experience the rise of technology and the programming languages that power it.